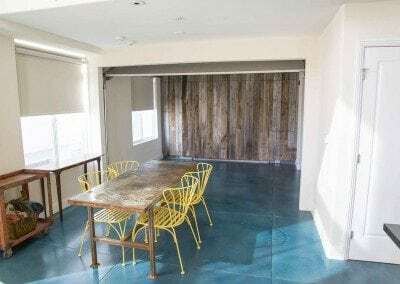 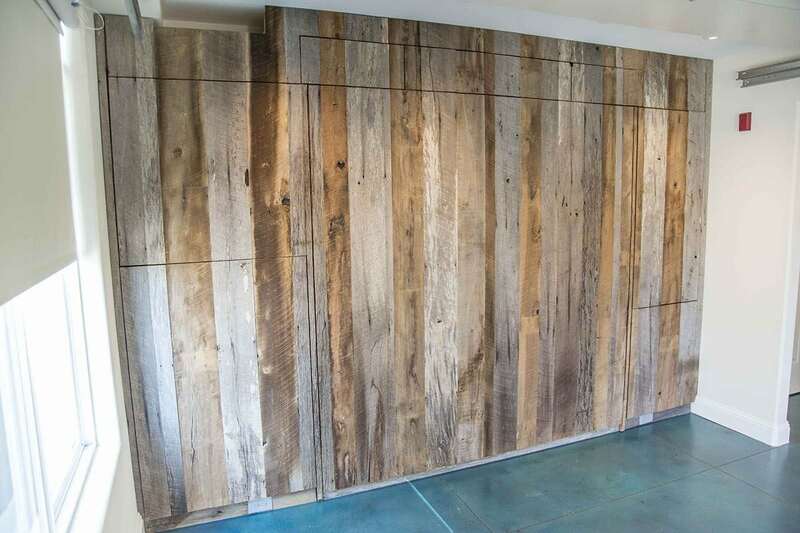 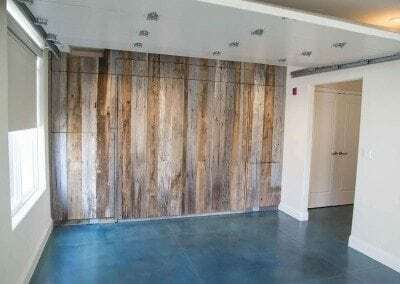 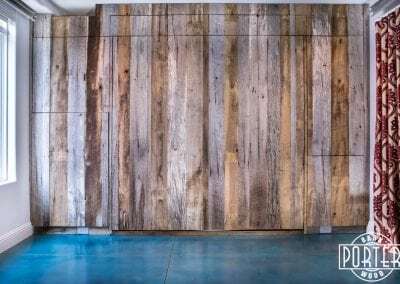 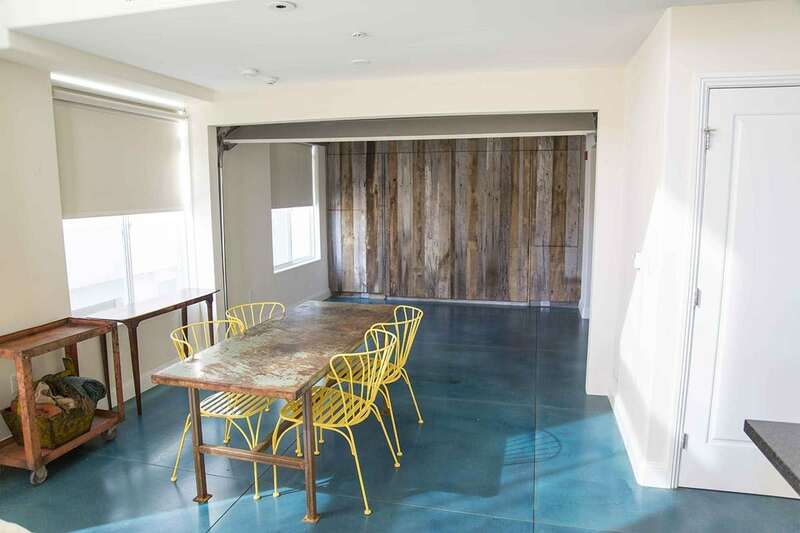 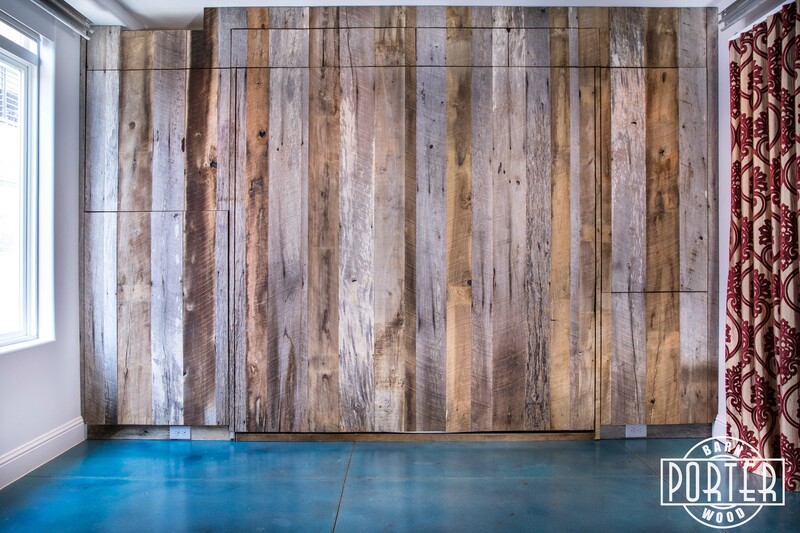 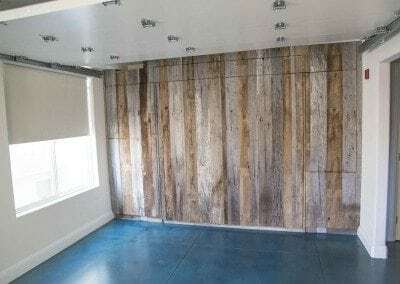 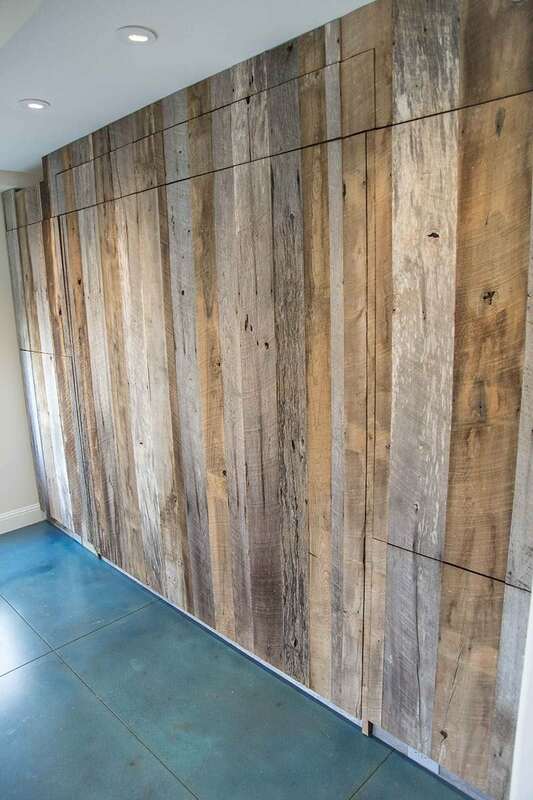 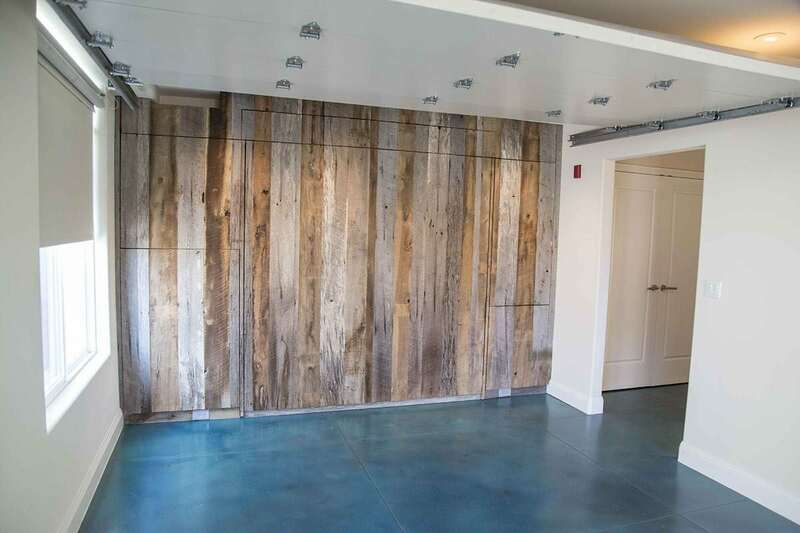 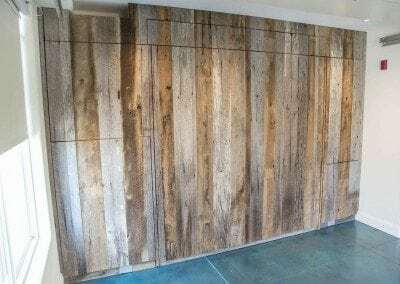 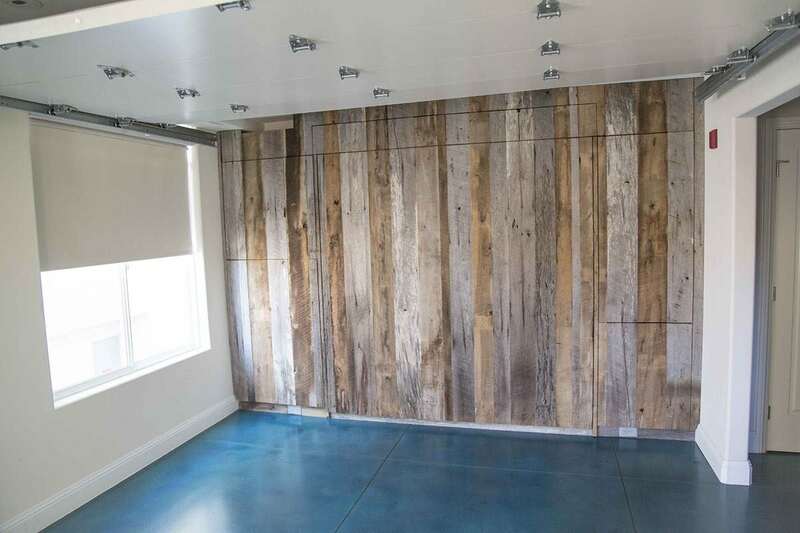 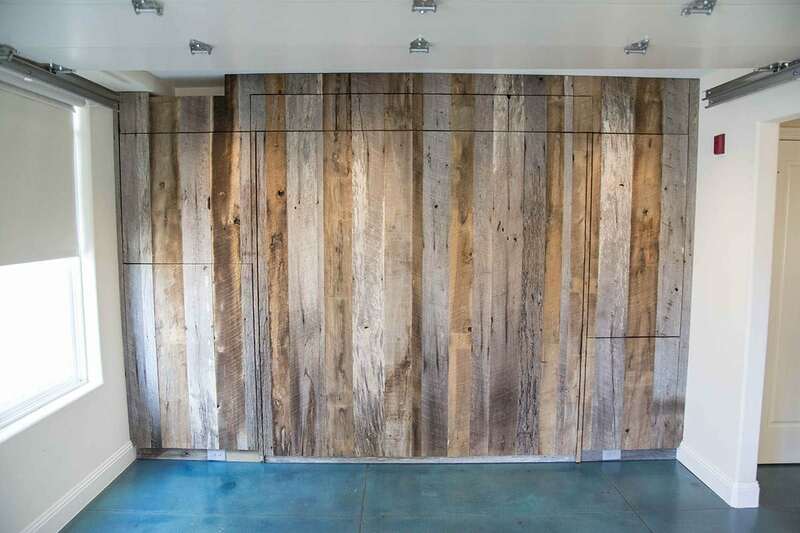 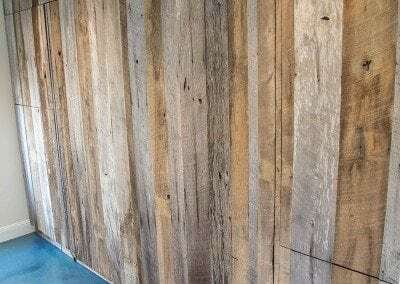 With the appearance of a wood wall covering at first glance, once unraveled, you’ll find much more that’s behind this beautiful mixture of Tobacco Barn Grey/Brown barn wood. 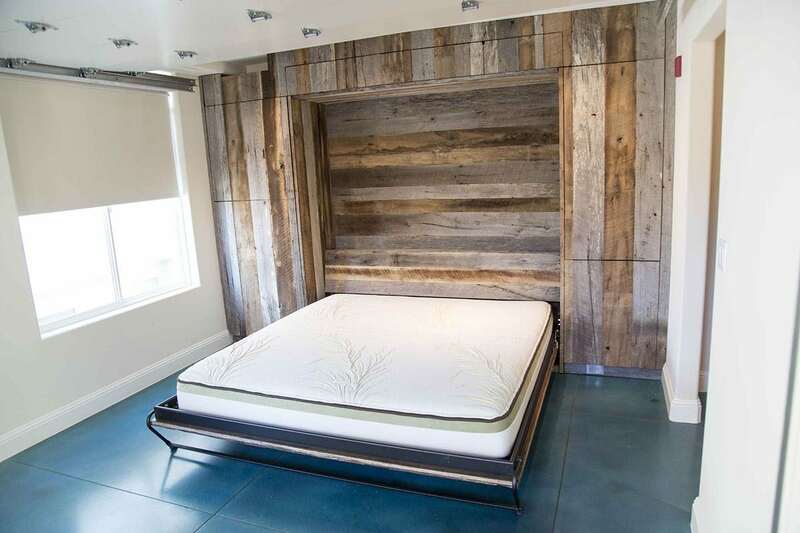 Underneath this wood wall, you’ll find not just one but two Murphy beds, storage cabinets, drawers, a closet, and even a hidden compartment. 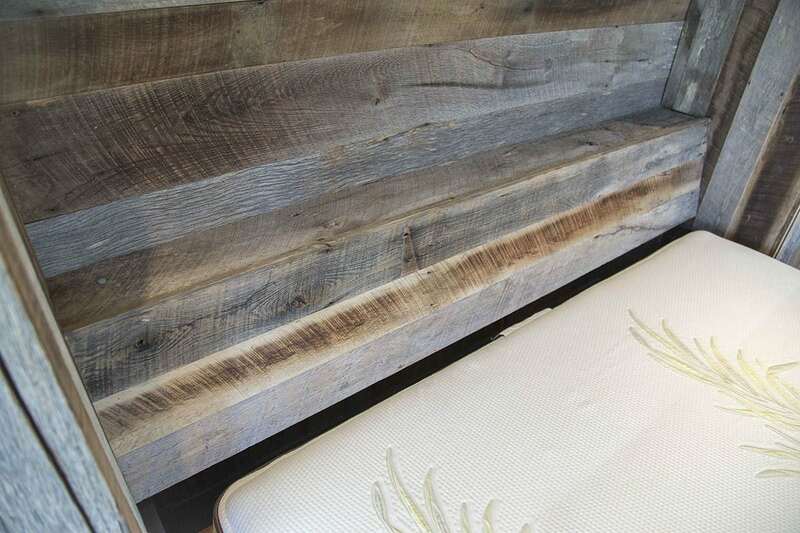 Because we couldn’t forget about man’s best friend, we made a Murphy bed on the side of the King sized Murphy Bed. 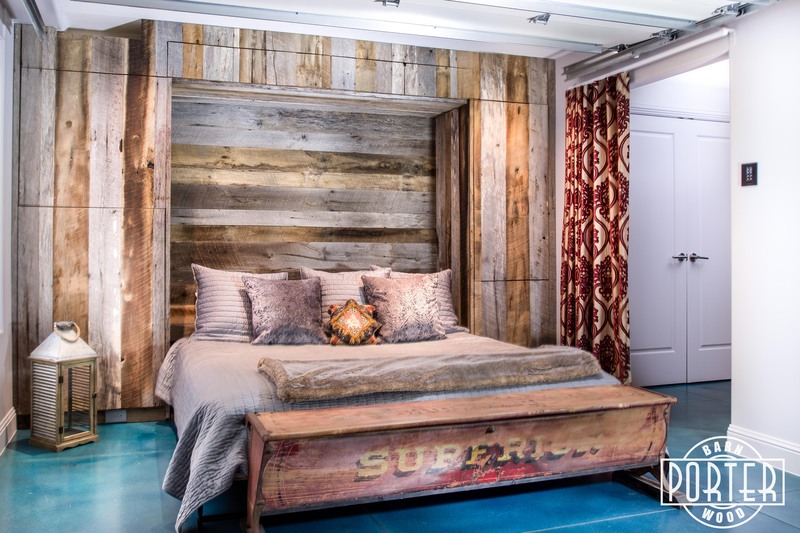 You’ll find a hidden compartment behind the Doggy murphy bed, and cabinets above and around the beds. 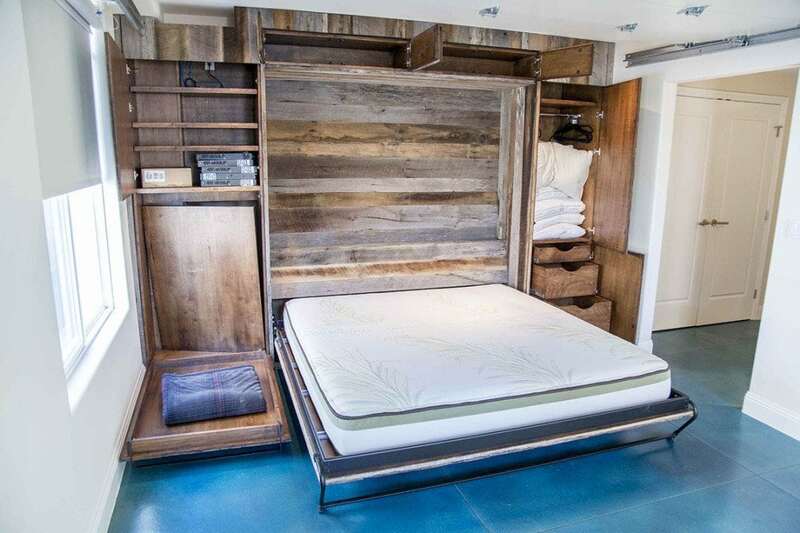 On the right side of the bed, you’ll see we integrated a small closet along with drawers that can hold all the essentials you need. 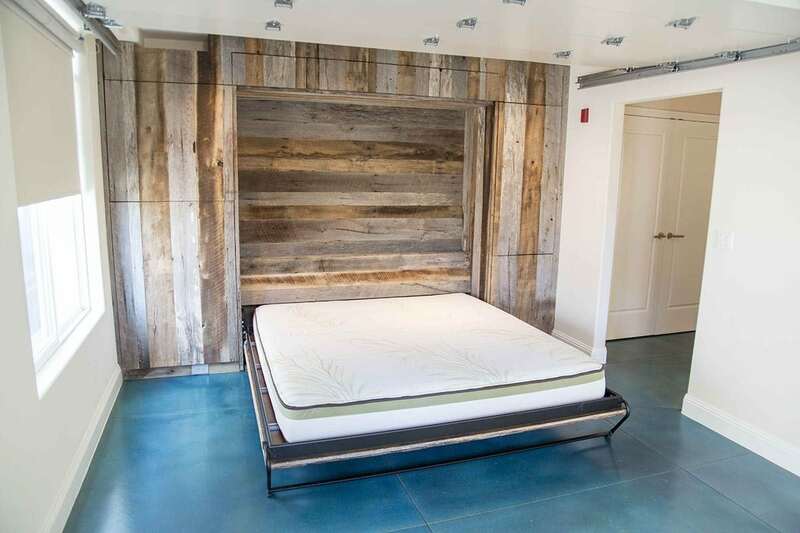 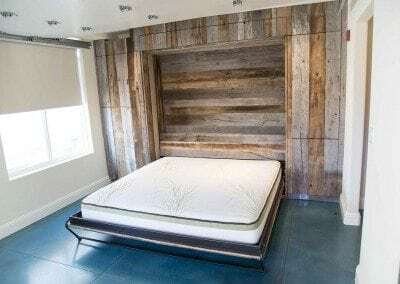 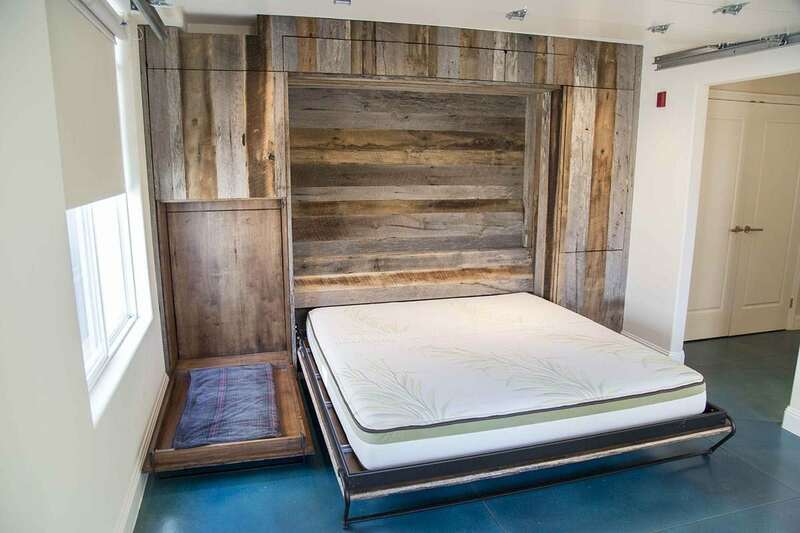 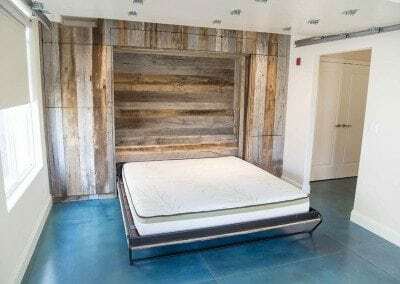 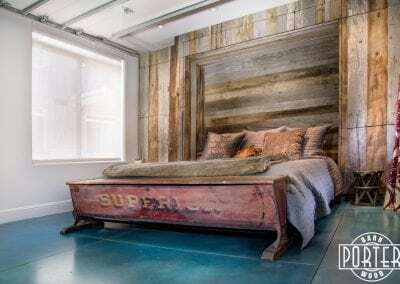 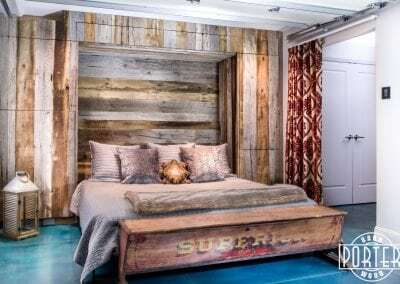 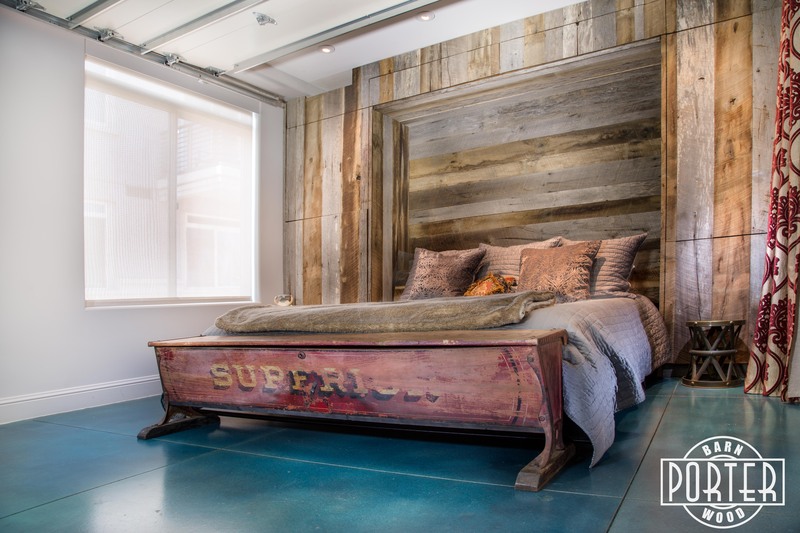 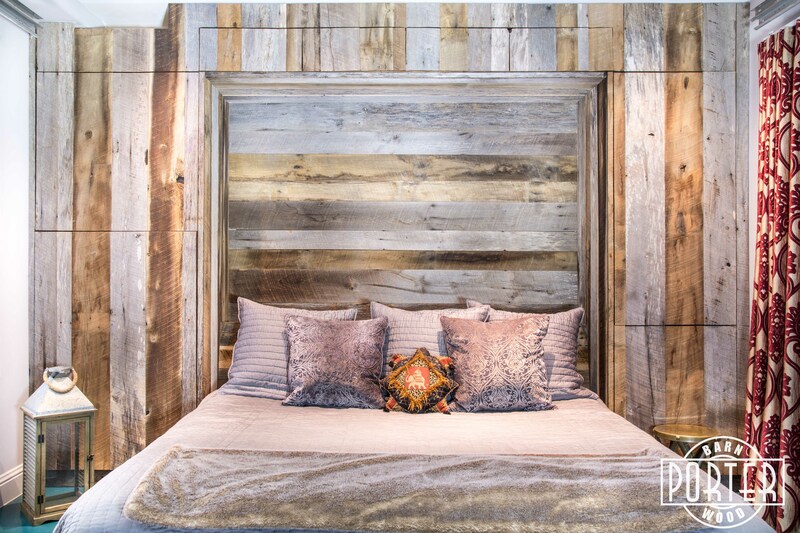 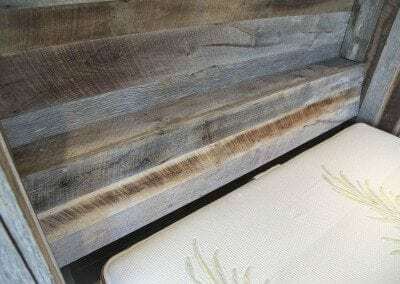 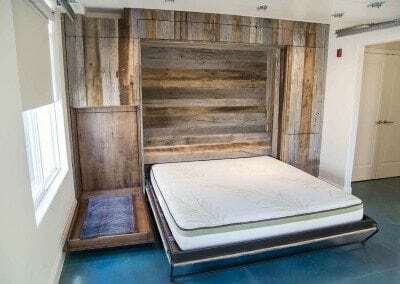 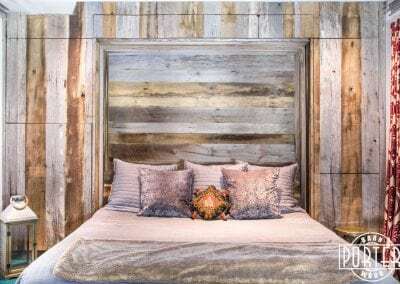 The Headboard is made from the same mixture of Tobacco Barn Grey/Brown providing that rustic accent and vibe. 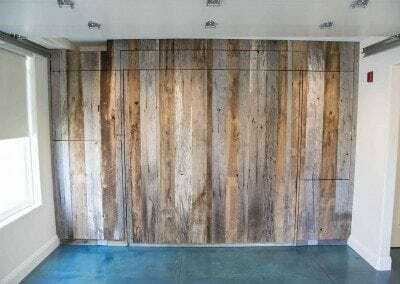 Is there anything more that you could ask out of a wall project?